WatchOS 2.2 was released last month. With all the media coverage around Apple vs FBI, this may have gone unnoticed to many. The update does promise quite a few new features. The one feature that stands out was the addition of the ability to pair multiple watches to a single iPhone. 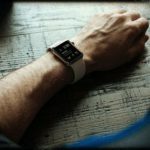 Does it signal that Apple may be secretly hoping that people will buy multiple Watches and use them on a regular basis with their iPhones? I’m yet to meet anybody that wears the Sports edition on the weekend and the more expensive pro editions to black tie dinners, but maybe that is possible in the future. Or Maybe I should be going out more often! There is also a part of me that thinks that since the battery on the units are not that great, you may need more than one Watch to keep going between charges unless Apple makes radical changes to battery optimization in future releases. 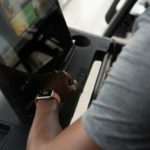 The Apple Watch is no slouch, but one can vividly remember the occasional performance hiccups, especially when attempting to open up new apps in the prior Watch OS versions. The new native app support in watchOS 2 enables full apps to run solely on the Apple Watch, without the need for an iphone to be connected at any point. This is expected to dramatically increase install speeds and provide developers with the tools to increase capabilities of the apps they choose to publish. The other interesting event that has happened is the advent of Swift 2.0. Apple’s innovative programming language latest version will help developers build more powerful apps for iPhones and Watch. Last year, Apple made swift open source. 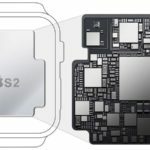 This is bound to attract new talent that will test the hardware limits of the iOS and WatchOS devices and will hopefully offer more value to customers. Apple is continually tinkering with watchOS to make it a better product. A ton of new features were added with the introduction of watchOS 2. 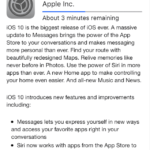 Apps like Mail, Maps and Apple Pay were made more interactive than before while Siri was designed to add a variety of new functions as well for the Watch. With the WatchOS 2, you can now send instant replies using your voice , using an emoji or choosing a list of preset replies via the Mail app. Maps App has also been equipped with new features such as public transport information. The watchOS 2.2 takes this further by adding the near by feature to Maps which allows you to check out the nearby restaurants, shopping etc all from your watch. Interestingly, you can now use your voice to set up Maps, perform a dictionary search and even start a personalized workout thanks to the new Siri features on your WatchOS 2.O. Apple is also deliberately making the advanced health options available to WatchOS developers. By providing accessibility to the heart rate sensor, Apple enables developers to use it more actively in their apps. For example, the app Strava uses the sensor to collate and display live workout data. With WatchOS 2.2, Apple has provided features that Increase frequency of background heart rate measurements even when you are stationary. For the folks that are sitting on the fence when it comes to Apple Watch, you may want to think again. We at AppleToolBox are expecting major announcements at the WWDC conference this year on June13. 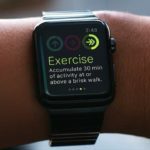 We will be lucky to get a new Watch 2.0 out by June, however we expect major announcements when it comes to introducing new features on the WatchOS and iOS platform. What is important for us fans is that the tinkering on The Watch continue at Cupertino.